Finally its time that i pen down my thoughts on TBS vitamin e moisturiser as i have exhaustively used the first tub and about to order my second one. 🙂 Their new range of vitamin E products were launched in the winters and thats when i got my hands on it. 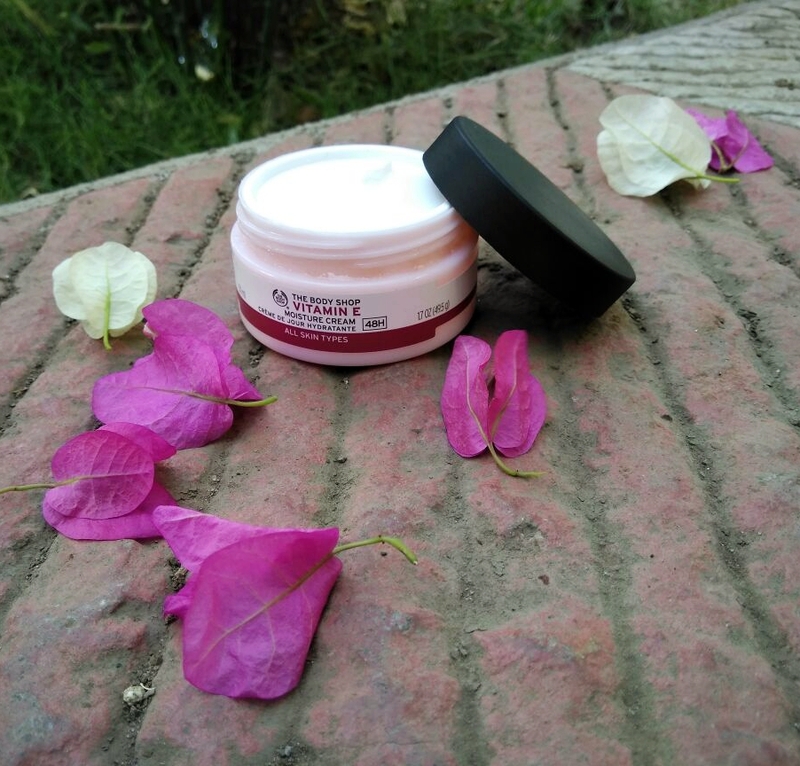 An easily absorbed daily moisturising cream that has the lightness of a lotion with the moisturizing benefits of a cream. Apply to the face and neck after cleansing your face. 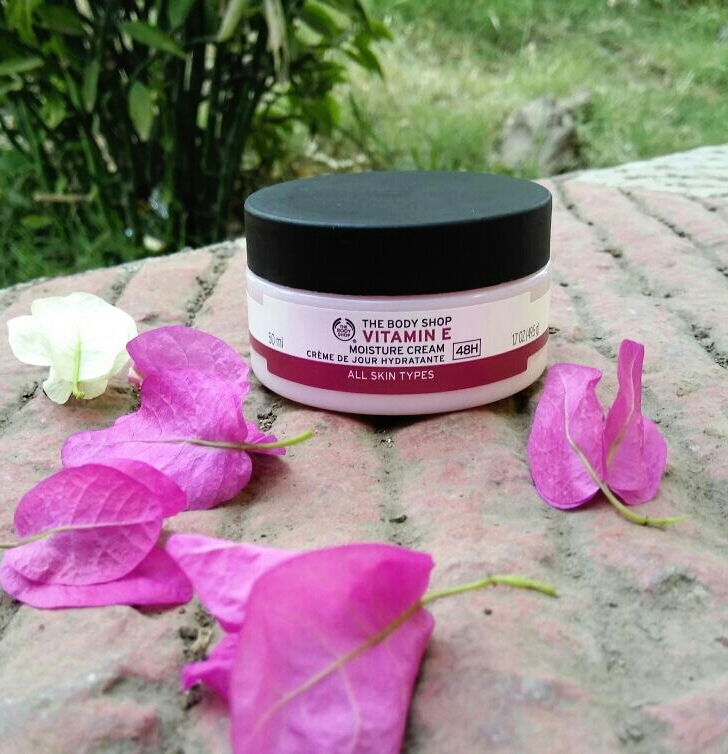 TBS vitamin E moisturiser comes in a sturdy plastic pink coloured tub with a matte black twist to open/close cap and also has a white lid forming a layer between the cream and cap but sadly with time, it gets messy and sticks to the cap.The cream is pale pink in colour ,extremely light weight with a mild pleasant fragrance. 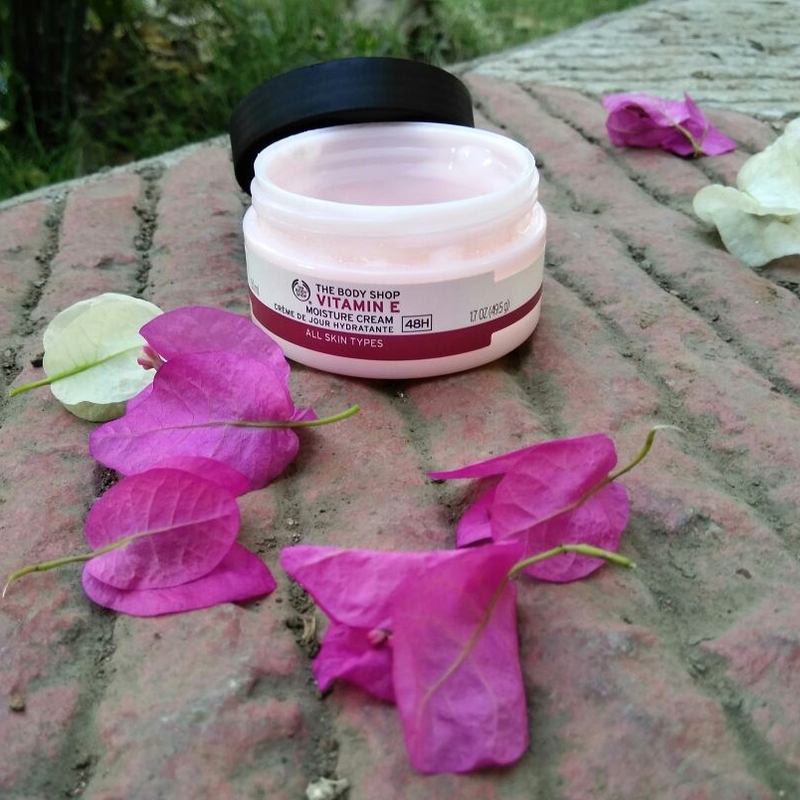 It is one of those dream creams which gets absorbed into the skin real quick without making it greasy or oily still keeping the skin healthy and hydrated with the goodness of antioxidant power of vitamin E. My skin being on dry side,this surely was my winter skin saviour and even in summers while our skin tends to get little more oily than normal this just does the job without any issues of greasiness. 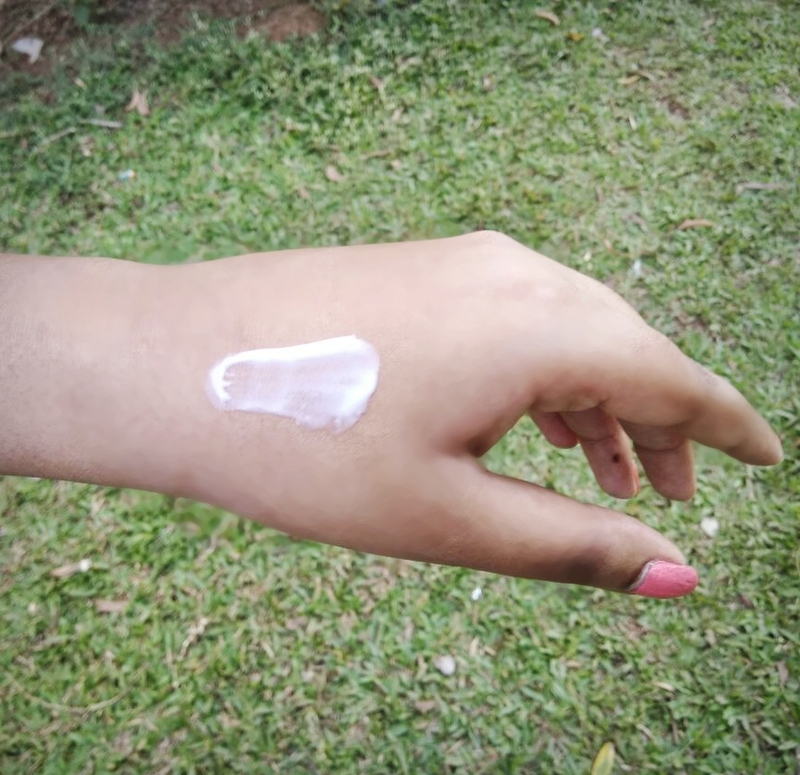 This cream can also be a perfect base for your makeup.It lasted me for almost 2 and a half months, you just need a tiny amount of it and you are sorted.Also this is suitable for all skin types, 365 days a year irrespective of the weather change, beacause of its amazing light weight formula ! Moisturises and keeps the skin hydrated. The lid sticks to the cap with usage of time making it messy.